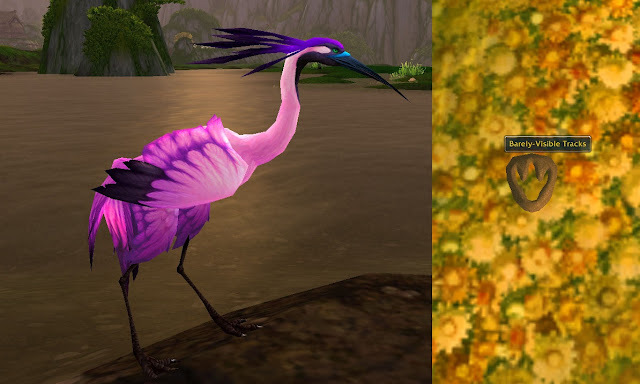 WoW Petopia Community • View topic - Rare Pandaria Hunter Pets. 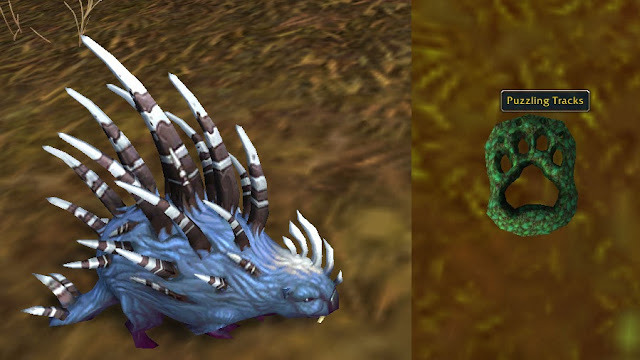 Post subject: Rare Pandaria Hunter Pets. 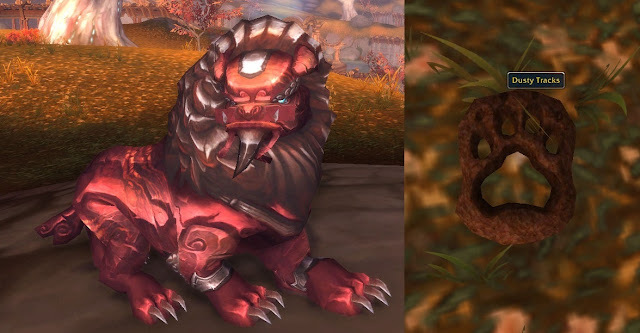 Blizzard added some Hunter love in Pandaria. These pets are stealthed, but footprints that can be followed. A flare is necessary to find and tame. Make sure that your flare does not expire before the end of the tame, or the beast will stealth! 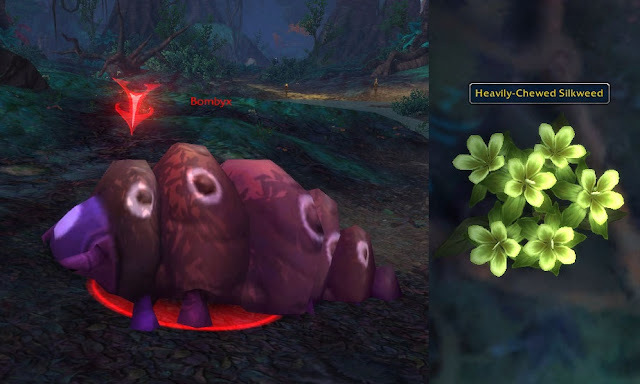 I used the Wowhead guide to find the locations and pathing of the beasts. Not sure if I am allowed to link to images, but here goes! The following is taken from Wowhead. These pets need to be tracked down...literally. These beasts have long, windy patrol routes where they will leave tracks behind them as they walk. 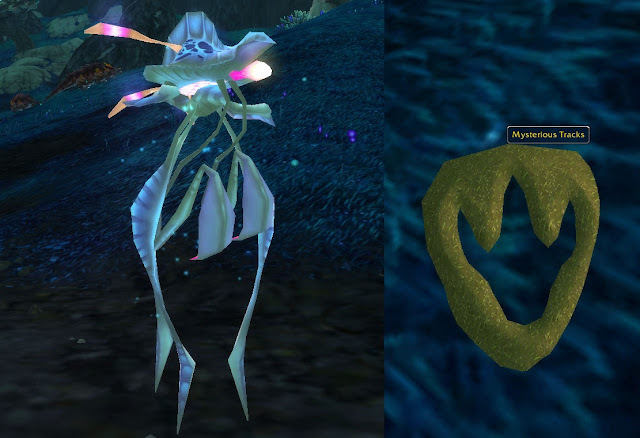 Each rare has their own unique track, and here's the kicker...the pets are completely stealthed! Another interesting thing to note, is that both tracks and the pets are only visible to hunters! 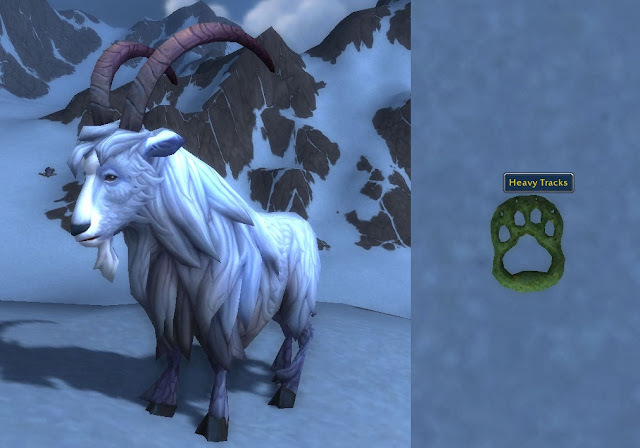 In order to locate these pets, you will need to find and follow their tracks. Once you've found a set of tracks you'll need to follow them until you don't see any more. This is where I like to wait and watch where I think that they'll be walking next. Often times you'll see a new track appear right in front of you - this means you've found who you've been tracking! Once you think you know where the beast is, your going to have to get it to walk through a Flare. Don't throw your flare down on top of the track that was just just left, throw it a little further out in front of where you think the next one may appear. When the beast walks through your flare it will become visible. 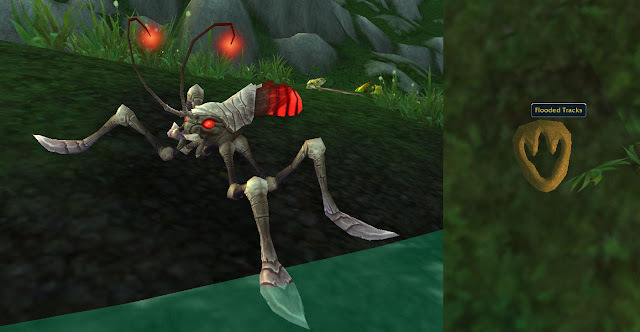 You can take this opportunity to tame, or you can throw a Hunter's Mark on it - which will allow you to see your target, even when it goes back into stealth. Hunter's Mark will make him visible to you, but only you when he's in stealth. 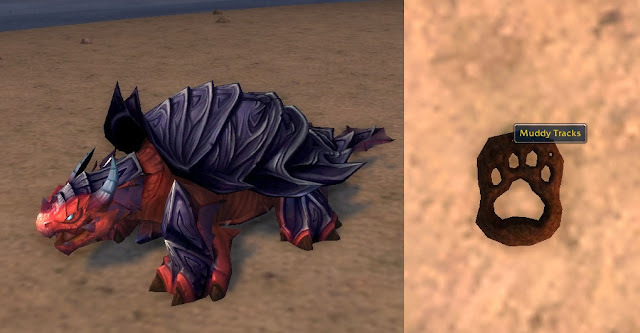 Post subject: Re: Rare Pandaria Hunter Pets. Ooops, I did a search but did not find a post on this. A moderator can delete the post if necessary.